Travel on the Island line of the MTR railway network and interchange for the Tung Chung Line at Central Station to arrive at Tsing Yi Station. 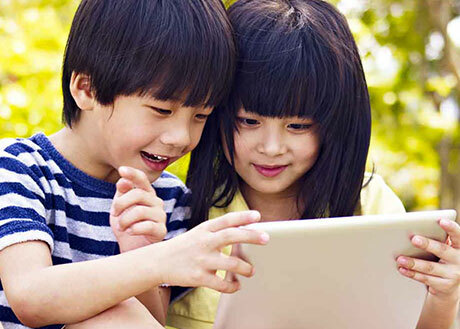 For information about MTR fare and train schedule, please visit the MTR website. 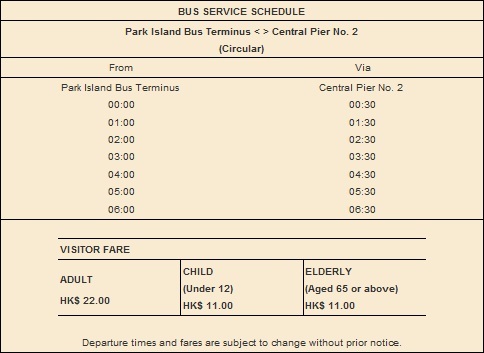 *Fare based on travel via Cross Harbour Tunnel. 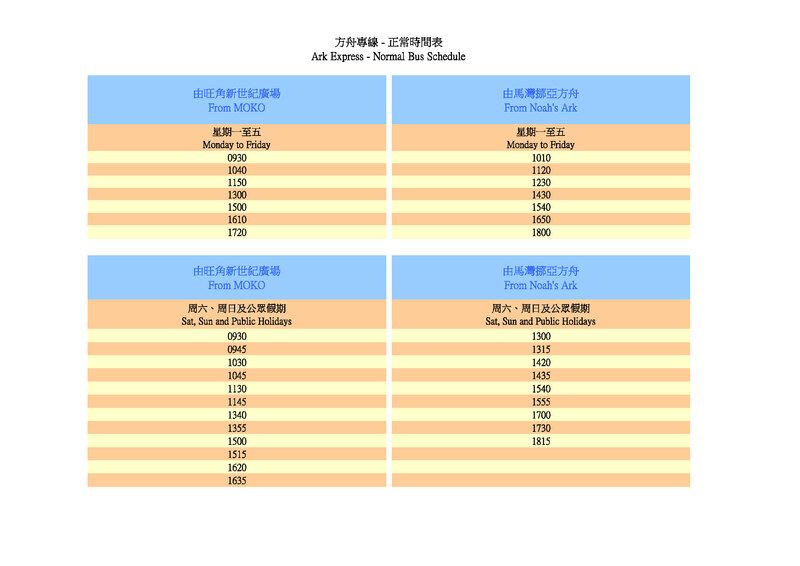 A separate toll charge of HK$30 for Lantau Link road usage will apply. 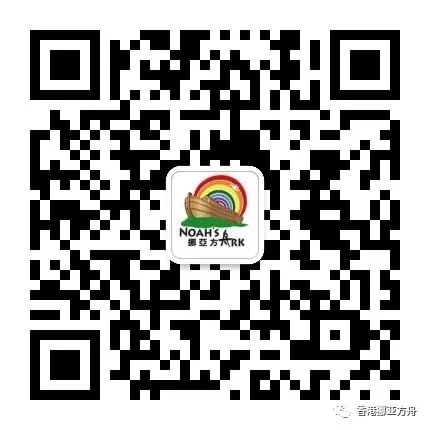 The above bus service is only for Noah's Ark ticket holders. 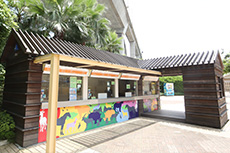 Passengers have to show a valid Noah's Ark ticket or Ticket Redemption Receipt when purchasing the bus ticket. 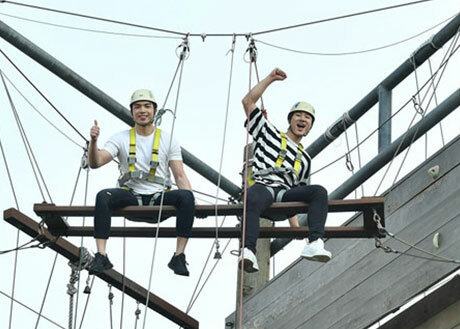 Visitors who would like to take the Ark Express departs from Mong Kok, please complete the ticket purchase 10 minutes before the designated Ark Express departure time on your travel day. 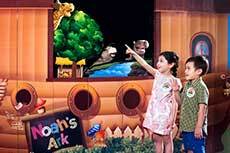 Seats on each Ark Express are limited and are allocated on a first-come, first-served basis. 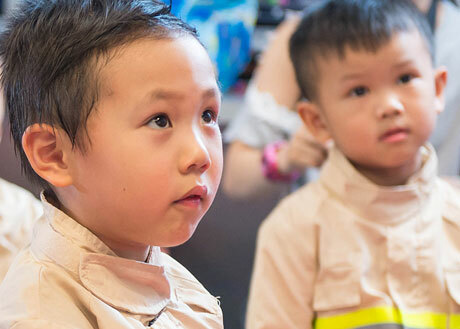 In the case of typhoon or high wind, the Ark Express service between Mong Kok and Noah’s Ark will be affected. 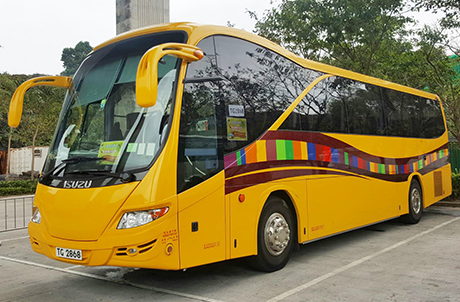 Ark Express ticket holders who are unable to take the bus service due to service suspension may get a refund with arrangement. 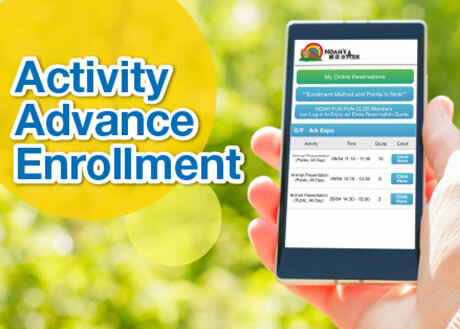 Click here for arrangement details. 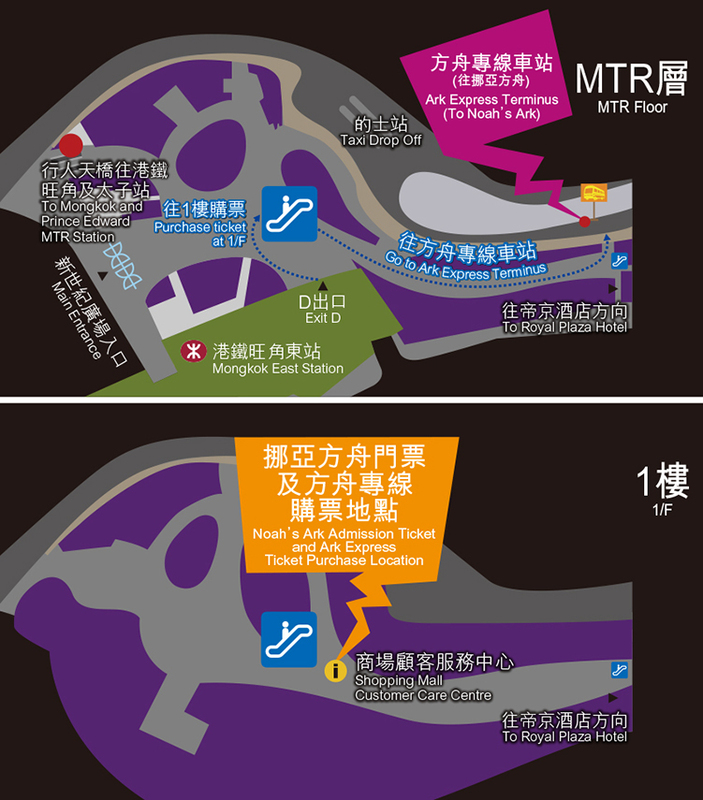 Travel on the Kowloon side of the MTR railway network to arrive at Mong Kok Station. 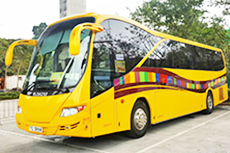 Take Exit B3 and walk to Mong Kok MOKO (around 10 minutes) for the Ark Express service. 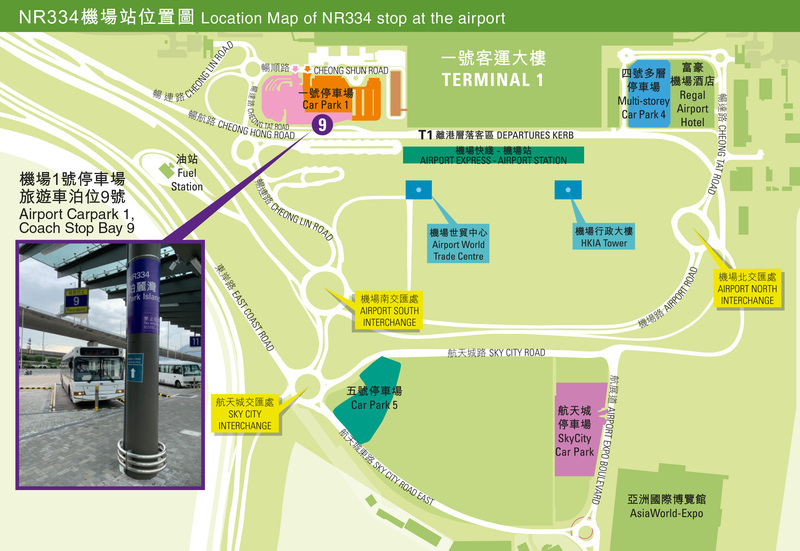 Arrive at Hong Kong West Kowloon Terminus, take Exit M and head to "Elements" shopping center. 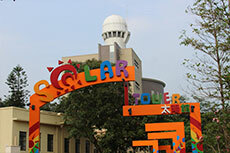 Follow the signs in “Elements” shopping center to head to “Kowloon Station”. 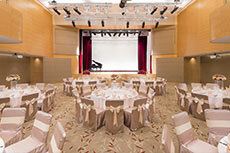 Travel on the Tung Chung line of the MTR railway network to arrive at “Tsing Yi Station”. 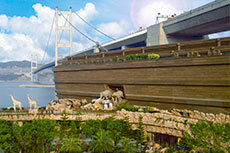 Take Exit C and walk to the bus terminus for the Tsing Yi and Park Island NR330 bus service to Noah’s Ark. 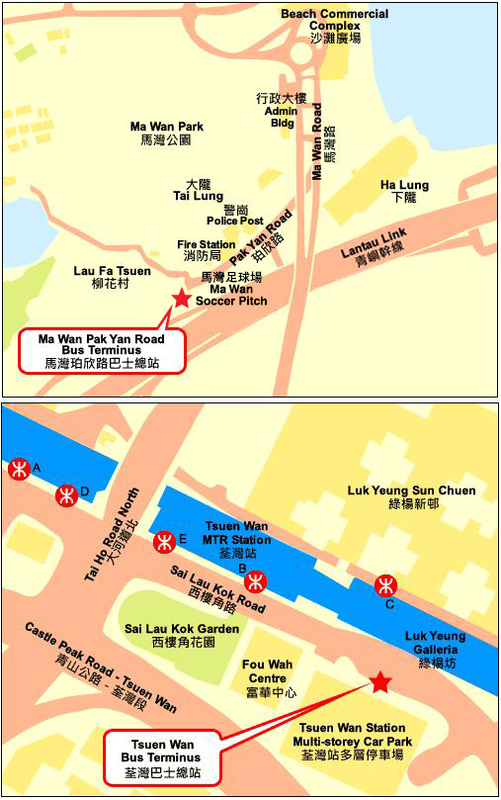 Travel on the New Territories West MTR railway network to arrive at Tsuen Wan Station. 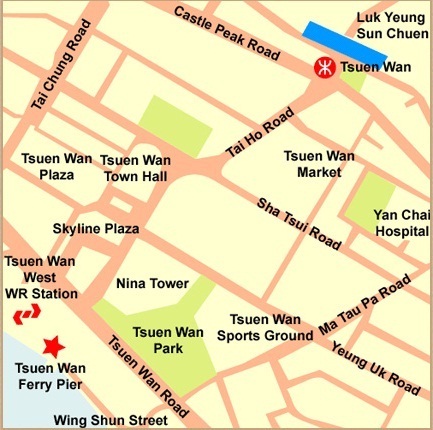 Take Exit C and walk across to the Tsuen Wan Bus Terminus for the Tsuen Wan and Ma Wan circular bus service. 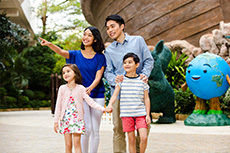 Private vehicles can be parked at Kwai Fong Metroplaza shopping mall or Tsing Yi Maritimesquare shopping mall, and take the bus outside the shopping malls to go to Noah’s Ark. All users should register at the Shroff Office before entering the carpark. The road connecting Ma Wan Island from Tsing Ma Bridge is a restricted road managed by Government; vehicles including private vehicles are not allowed to enter Ma Wan unless with a valid permit issued by Transport Department. 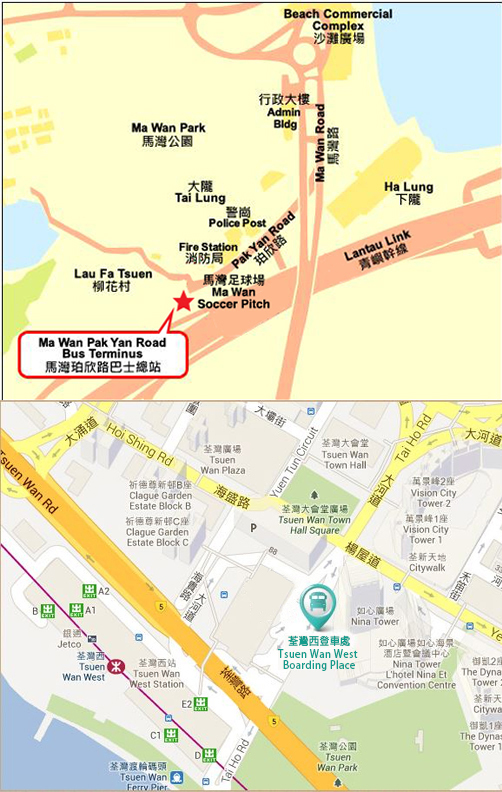 Selected commercial vehicles may enter Ma Wan without permit at designated timeslots. Please refer to the tab "Driving" for details. Transportation service schedule, fares, and location map are for reference only and are subject to change without prior notice. 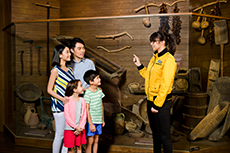 Free redemption of Ark Express Round Trip Coupon (HK$38) with any Online Booking of admission ticket through Noah's Ark Hong Kong Official Website.